Rick Lawrence, UK&I biscuits category lead, Mondelez International explains how he set about the challenge of bring Chips Ahoy! to the UK audience. ‘Creativity’ is an endemic buzzword within any marketing department, the ‘Holy Grail’ attribute that enables original, engaging products and campaigns. But beyond the innate creativity of individuals, how do you inspire creativity within teams and organise this energy into an effective process? There are certain principles that I believe help get the best out of teams and drive innovation. At Mondelez International, we recently went through this process for the launch of Chips Ahoy! The challenge was to launch a $1bn, 50-year-old global biscuit brand to a UK audience. At Mondelez International we’re lucky enough to have the resources of the world’s number one biscuit manufacturer at our fingertips. Despite the size of the business, it’s important to keep focused on the goals. The key question we ask of ourselves to get the right balance is ‘what would you do if you owned this business?" This delivers a high pressure but pragmatic environment. When it comes to thinking creatively, time constraints can be a hindrance but also a help as they keep the tempo up. For the UK launch of Chips Ahoy! we brought the new version of the biscuit from conception to shelves in just over six months, a speedy turnaround even for our industry. We made it work by breaking down deliverables into manageable chunks. This kept the urgency but avoided crippling the team with pressure. The start-up mentality also helps when planning each step of the journey. Spend a little time thinking through every function needed to get to the end product. Whether that’s getting back to the factory floor, walking in the footsteps of customers or trying to understand how to make your products yourself, get right down into the detail of the problem you’re trying to solve. With Chips Ahoy!, the whole marketing team was engaged with cooking up a batch of biscuits themselves, and brought in the results to be tasted. It helped us understand what worked and why and encouraged us to think about exciting combinations. Failing is fine, making the same mistake twice isn’t. That means you’re not learning from those mistakes. It’s vital to celebrate creative input whether the idea is a success or whether it fails. Excluding the rare light-bulb moment, most creative ideas are a result of trial and error, and without the error half we wouldn’t get to the right solution. The baking experiment gave us a great starting point to talk about the flavours and textures we liked – and those we didn’t. It enabled us to be critical of ideas in a light-hearted way, detached from the world of the marketing team, instead as consumers and cooks! Focus groups and market research are incredibly important when it comes to creating the right product or strategy. But you can also look for input in less obvious places. I trailed different biscuit flavours with my family over half term. We went to a sweet shop and I let them pick out whatever they wanted to put in the dough. A lot of innovation is to do with watching and noticing habits or preferences you didn’t see before. Don’t be afraid to challenge the norm - sometimes this enables the greatest cut-through. Never forget that a marketing strategy may be working well, but that doesn’t mean it can’t work better. 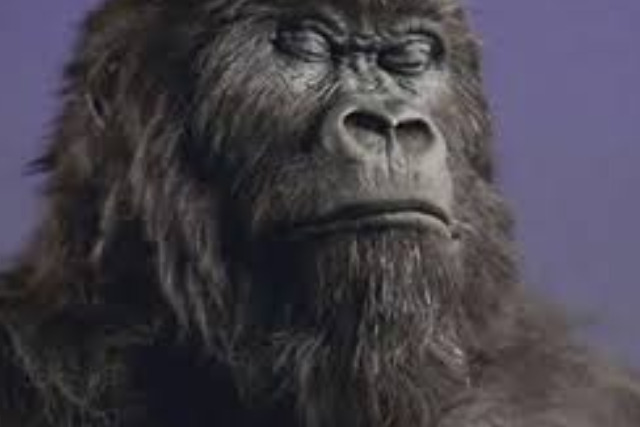 Our latest advert featuring the hijack of the Cadbury Gorilla wasn’t even pitched to us originally as was deemed ‘too controversial’. But we wanted to take that risk and start a conversation. And it worked. Creativity can be vitally important in bridging the gap between a global strategy and a local reality. Our job as marketers is to add that local flavour. It’s like a bespoke suit compared to off the peg – tailoring has a huge impact. The world’s number one biscuit, Oreo, has a distinct global brand presence. However our challenge was to bring that to life in the UK, applying the topspin that would make the brand fly with British audiences. To do this we partnered with The Only Way Is Essex and produced a 60 second YouTube ‘Lick Races’. We married the brand with the right talent at the right time, resulting in over ten million impressions. Creativity is sometimes seen as a nebulous element of the innovation process. Yet it is possible to channel it in a highly productive, enjoyable way. Paring back challenges to the bare bones and playing around with solutions can help teams produce exciting and fresh responses to marketing briefs.